An adult male Pine Barrens Treefrog (Hyla andersonii) lounges among pine needles in the Green Wood Wildlife Management Area in New Jersey's Pine Barrens. 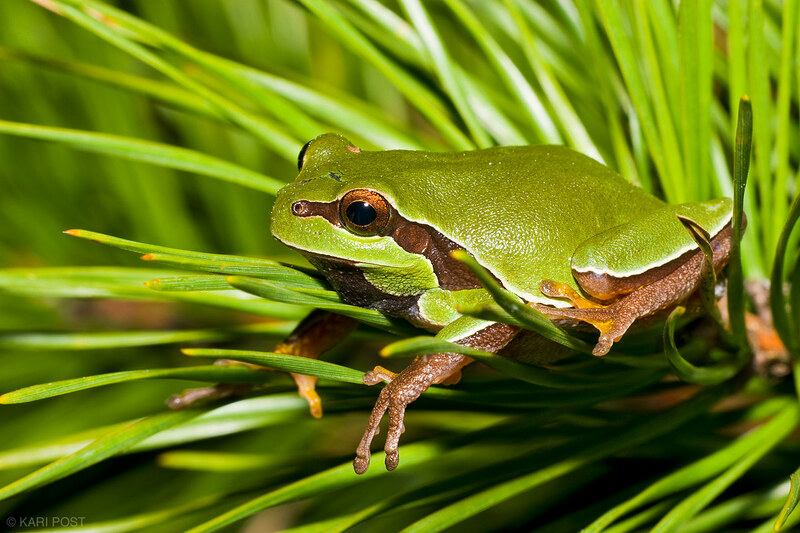 The Pine Barrens Treefrog is a small species of tree frog native to the eastern United States. Listed as a threatened species due to habitat destruction, the Pine Barrens Treefrog exists in three distinct populations, the largest in the New Jersey Pine Barrens, as well as populations in the Sandhills of North and South Carolina and the Florida panhandle extending into Alabama.